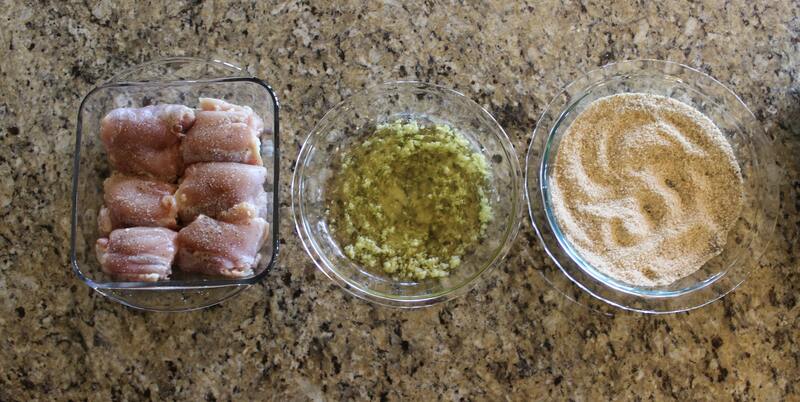 This recipe for Garlic Parmesan Chicken Thighs is great recipe that is quick and easy to make. It’s packed full of delicious garlic and parmesan flavors. If you’re like me you’re always looking for a new baked chicken recipe. We really like this Baked Honey Garlic Chicken but switching it up with something new is always nice. Garlic and parmesan cheese is one of our favorite flavor combos. It’s like they were made for each other and it compliments so many different types of food. Like this Garlic Parmesan Shrimp or a pasta dish like this Lemon Garlic Parmesan Shrimp Pasta. I like to say garlic and parmesan cheese are happily married! How long does it take to cook chicken thighs? The length of time it takes for chicken thighs to cook depends on the temperature of your oven. I recommend cooking the chicken thighs are 375 degrees for 30 minutes and using a meat thermometer to ensure the internal temperature of the chicken is at least165 degrees in the thickest part of the thigh. 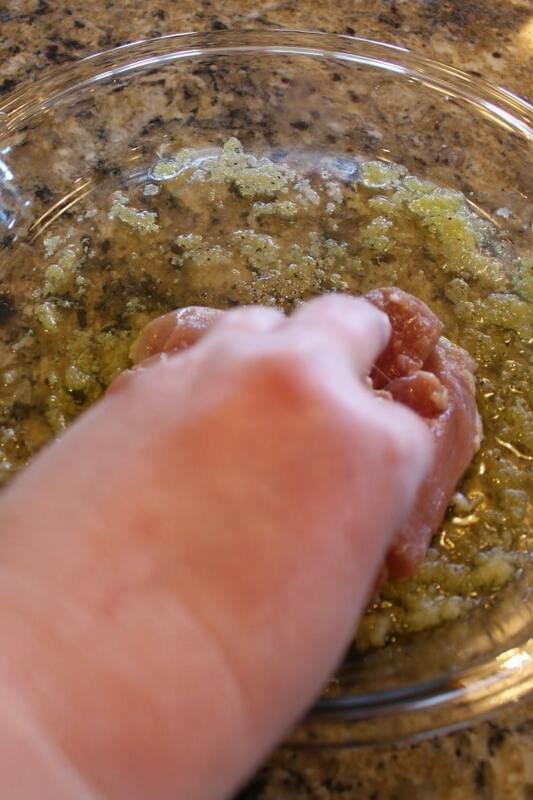 Can chicken thighs still be pink when cooked? 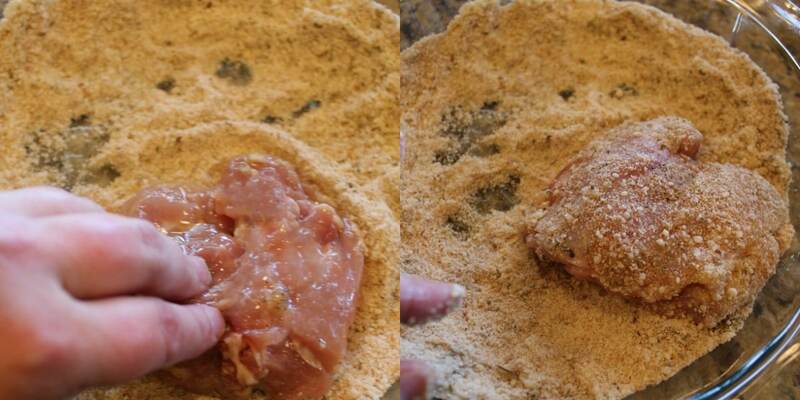 Yes sometimes chicken thighs or even chicken breast can keep a pink hue even when fully cooked. The color of the chicken does not indicate that it is undercooked. According to the USDA as long as the chicken has reached an internal temperature of at least 165 degrees it is safe to eat. 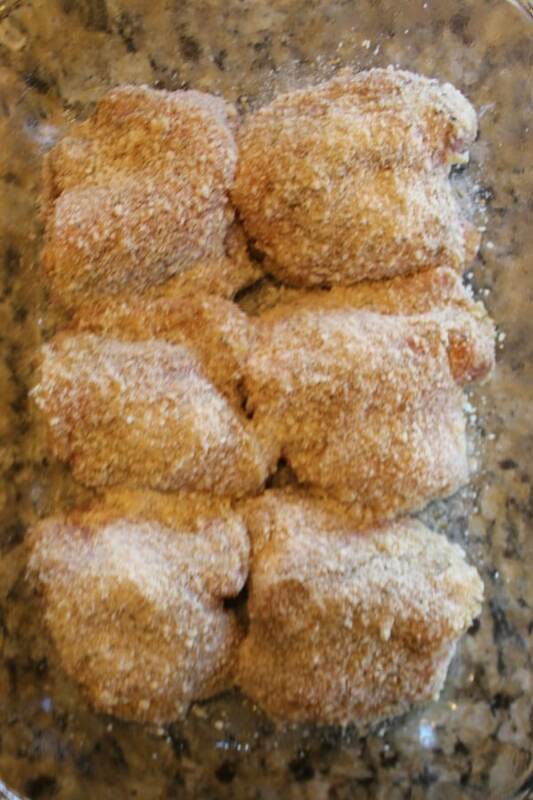 How do you make Garlic Parmesan Chicken Thighs? Bake in a 375º for 30 minutes or until a meat thermometer inserted in the thickest part of the thigh reads 165º. Once the chicken thighs are cooked through place the dish under the broiler for two minutes to brown the cheese a bit more. Then garnish with fresh parsley if desired. 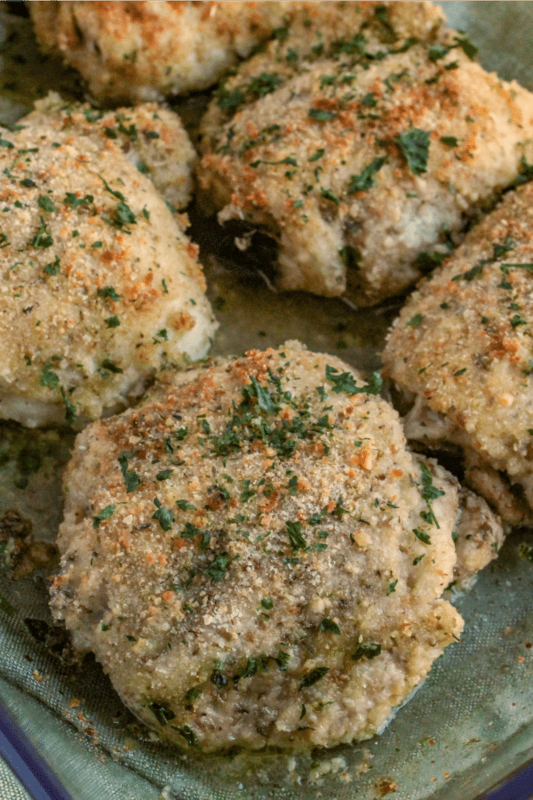 Making these Garlic Parmesan Chicken Thighs was really easy and they tasted great! I recommend severing this chicken with a great side dish like these Southern Style Mashed Potatoes or Easy Skillet Green Beans. Tried this recipe? Leave me a comment below and let me know what you think! Looking for more great chicken recipes? 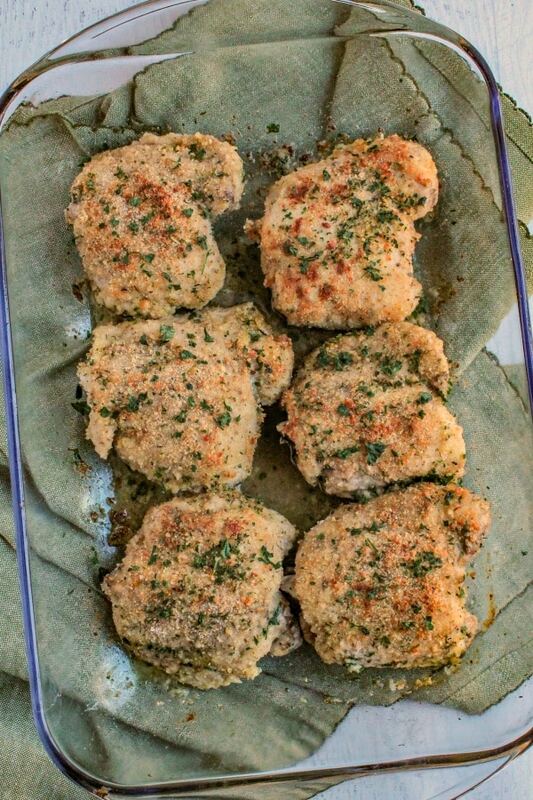 This recipe for Garlic Parmesan Chicken Thighs is great recipe that is quick and easy to make and packed full of delicious garlic and parmesan flavors. Bake in a 375 degrees for 30 minutes or until a meat thermometer inserted in the thickest part of the thigh reads 165 degrees. Awesome…thank you! Ill say more later but we are eating right now and they are making funny noises right now. Ha…success! Thanks!